In a land where founders and CEO of large successful companies are the new celebrities, many of them are faced with pivotal decisions that will likely shape their legacy...or at least make an interesting chapter or two in their future autobiography. As a longtime Netflix customer and die-hard Roku advocate, I was shocked at Chief Executive Officer Reed Hasting's aggressive decision to split it's DVD rental and video streaming business into two separate entities in addition to doubling it's current rates. Many thought Quikster was a stupid name to describe their DVD rental division and in this economy many customers had a hard time justifying the additional cost that were forced on them. According to a recent New York Times post, Hastings told a friend about his ideas a couple of month ago, and his friend warned him that it was a really bad idea but Hastings ignored the feedback. When asked if they conducted any market research or focus groups on the idea, he simply "assumed" it had been conducted. The average person can clearly see through his "assumptions" that the data collected (if there were any data collected from his customer base) were skewed, and perhaps some over-confidence played a big role in this major mistake. Another possible mistake on Netflix's part is that maybe their marketing department carried out market research projects that were biased to the pre-made decision to increase prices anyways. The result of not listening to their customers prior to making a decision caused the mass exodus followed by a severe beating on their brand in the media. 1) Online streaming is a very competitive field. Amazon, Apple, Hulu, and all of the networks have joined in to grab a piece of that pie. 2) Expansion overseas. 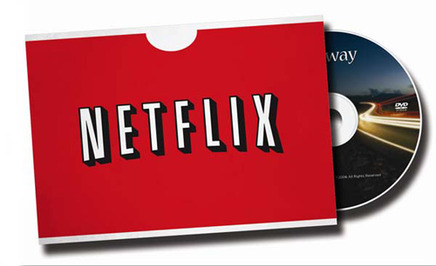 Netflix wants to be the first global online streaming company. 4) Redbox is kicking serious tail feathers in pay-per-day rentals and growing extremely fast in the US. These things are everywhere now! After reviewing these reasons, you can almost justify Netflix's decision to act as aggressively as they did, right? Well, kind of. Many large companies tend to think they have enough clout to influence their customers to stay on board with their goals. Unfortunately for large companies the average customer are not thinking about what is best of the company. Instead, they are thinking what's going to make them happy right now at an effective price. If they are not happy with the service, they can take their money and go somewhere else. With movements like Occupy Wall Street happening all over the world and access to social media it's evident that listening and taking into consideration the voice of your customers is more important than ever. Now that the damage has been done, what can Netflix do? Here are a couple of recommendations that can possibly change their brand image around and start winning back some customers. 1) Conduct Voice of the Customer or customer feedback research in a non-biased environment. It's important to get an even mix of current customers and former customers to find out what's keeping customers so loyal while asking former customers what made them cancel. 2) Run Pricing Analysis projects and customer opinion on pricing features. If they would done some choice-based conjoint analysis projects in addition to some following up pricing questions, Netflix may have avoided losing 800,000 customers since June. 3) Set up an online panel of Netflix customers and ask them questions about new product or service ideas and their thoughts in real-time. Offer these panelists an incentive or a reason to give honest opinions that can help shape the future of the company. 4) Instead of focusing 100% on growth, focus on customer retention and increase satisfaction levels with the services Netflix provides. Everybody knows about the 80/20 rule. Based on some news outlets, Netflix is planning to slow down growth and only expand in the UK in the next year or so and scrapping their plans to expand into Asia until down the road. 5) Netflix needs to fix their brand image in the media quickly! I've seen new nicknames like "Quitflix," "Cancelflix," "Threatflix," and "Buh-byeflix" floating around in the media. It is time to do some branding research and work on repositioning themselves back to the time where streaming Netflix was an enjoyable, convenient, and economical experience for all. It's going to be interesting to watch and see what Netflix will do next. Based on what's happened here I think we can all agree a little bit of market research could have gone a long way for them.